Formerly known as the Jensen Prairie, this 20-acre eastern tall grass prairie preserve is home to over 80 species of forbs (flowers) and grasses as well as several mammals such as badgers, foxes, rabbits, gophers, and three species of mice including the rare meadow jumping mouse. The prairie additionally hosts several species of snakes and grassland birds. The south half the preserve is virgin prairie (never plowed), and the north half is old farm field that is being replanted using seeds harvested from the south half and local prairies. The ASO Prairie Preserve is open to the public and available as a research study site. 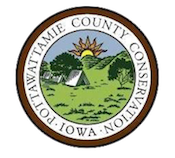 Volunteers are also needed to help maintain the prairie. Anyone interested in assisting with the restoration and management of the prairie or interested in setting up a visit for research purposes, please contact the ASO Administrator at (402) 445-4138. The prairie was purchased with a grant from The Nebraska Environmental Trust and management assistance grants from The Iowa West Foundation, National Fish and Wildlife Foundation, The Papio Missouri River Natural Resources District and many generous donations from members of Omaha Audubon Society. 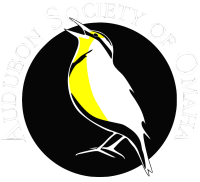 The Audubon Society of Omaha recently acquired the only known Loess Hills-type prairie in Nebraska. Saved from the plow and other incursions, the 10-acre cemetery prairie remains as it was when Native Americans were its only human inhabitants. 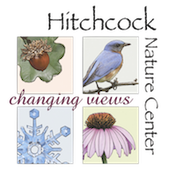 This site will be extremely valuable to botanists and others dedicated to preserving remaining native prairies and plants. Its present name, due to be changed to reflect ASO's ownership, is the Cuming City Cemetery and Nature Preserve, located about three miles north of Blair, Nebraska, off Hwy 75. Its namesake, the town of Cuming City, disappeared in the 1870's. Glenn Pollock, Natural Areas Management Chair for ASO, arranged the transfer of the 10-acre site on June 22, 2018 from The Nature Conservancy to ASO for the minimum required payment of the transfer ($1.00). Along with ASO President Matt Miller, Glenn will direct the management of the prairie.